Hello! It's Release Day at Taylored Expressions which means that all of the stamps and dies you've seen over the past few days are available NOW! 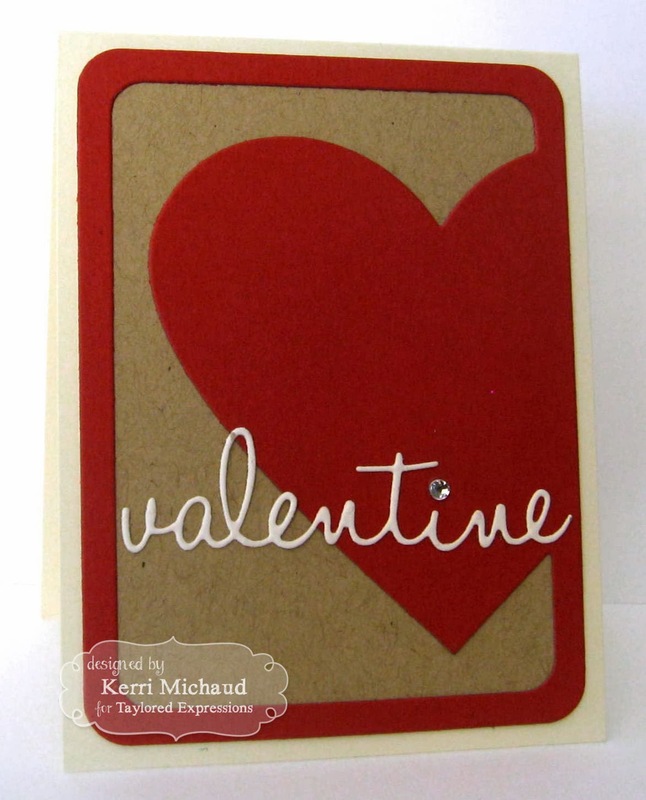 Next up is a card I made using the new Square Block Cutting Plate! 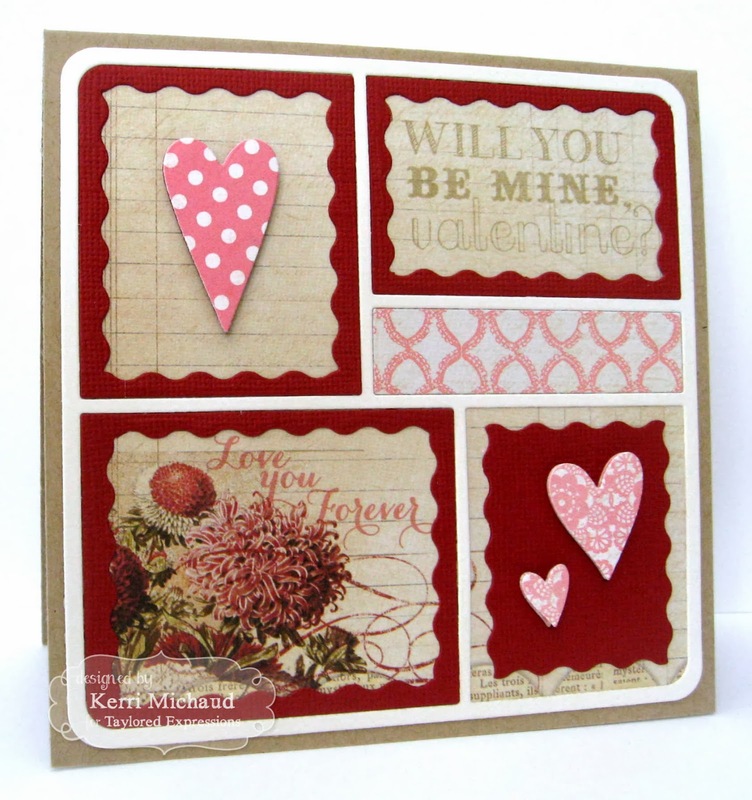 I just love that you can achieve so many different looks with this die! 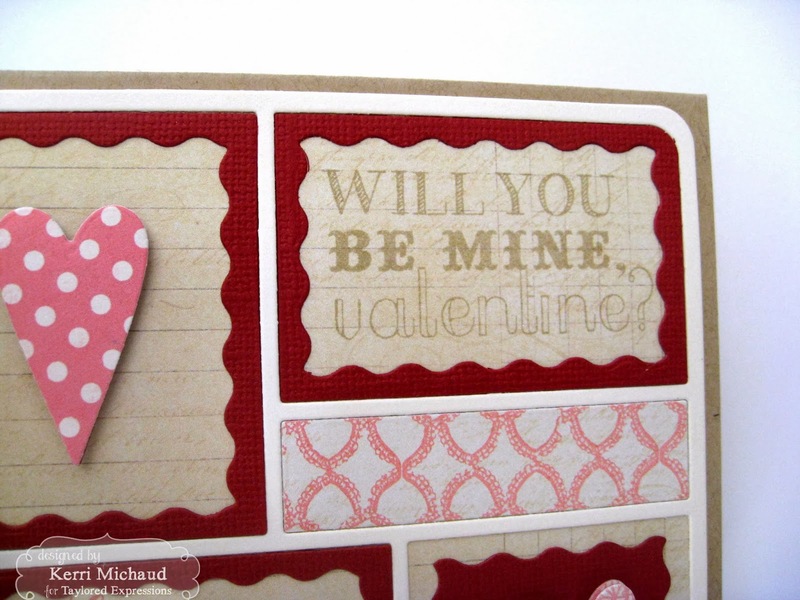 I used some My Mind's Eye Lost and Found Heirloom dp to back my frame and added heart elements and frames that are included with the Square Block Cutting Plate. 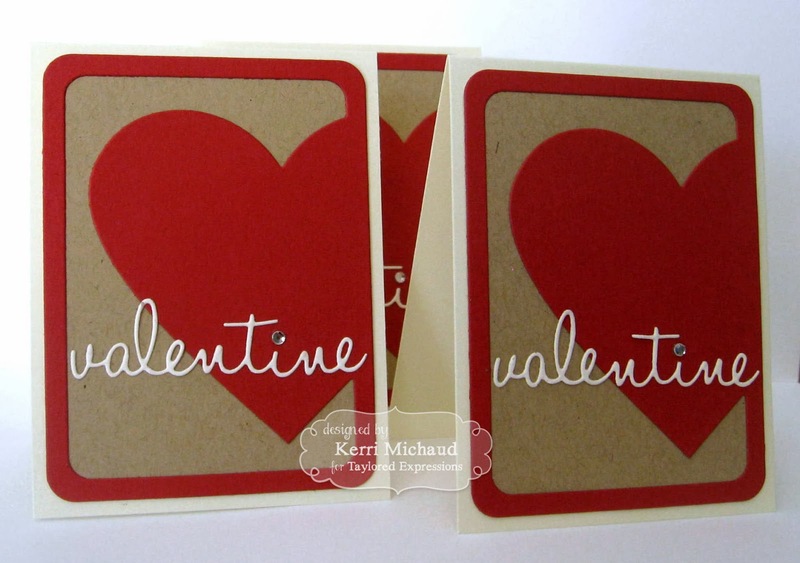 Finally, I stamped a sentiment from Big Bold Valentine in the corner. I just love how it came out! The rest of the Baker's Dozen have projects to share with you today so make sure you hop along and check out their blogs! Happy hopping and shopping and thanks for stopping by!